An unforgettable fire began in Chicago on October 8, 1871. Legend has it that Mrs. O’Leary’s cow kicked over a lamp which set a barn—and the entire city—ablaze. Tragically, the Great Chicago Fire burned for days, killing scores of people, decimating roughly 3.3 square miles, and leaving more than 100,000 Chicagoans homeless. 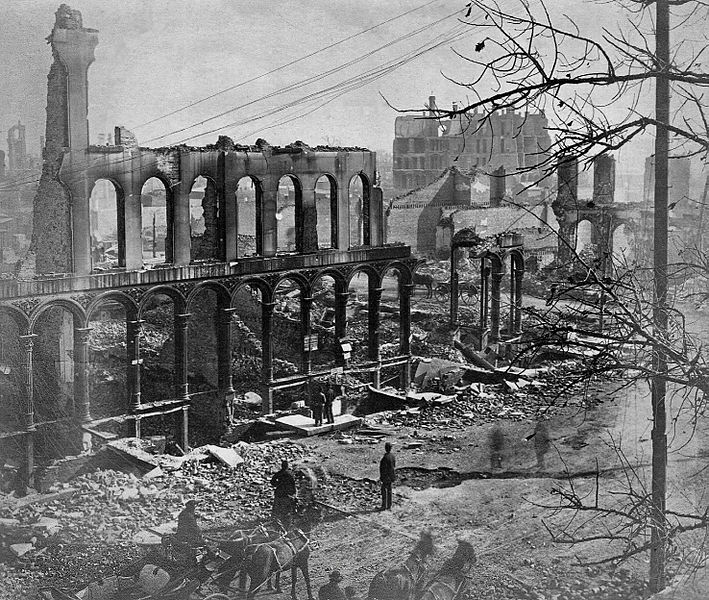 The Great Chicago Fire not only changed public thinking about fire safety, it inspired Fire Prevention Week—an annual commemoration of that devastating inferno. Going back over 90 years, Fire Prevention Week is the longest running public safety observance in America. This year it runs from October 9-15. One theme for Fire Prevention Week has been “Don’t Give Fire a Place to Start.” That’s a message that Federal Emergency Management Agency’s (FEMA) U.S. Fire Administration wants every American, especially children, to take to heart. FEMA’s popular Sesame Street Fire Safety Program Family Guide is available through GPO. Family coloring book. Fire literacy primer. A get-it-together-you-grown-ups safety guide. It’s all those things. FEMA and Sesame Street really deliver. Everybody do the Elmo happy dance! However, this guide is not just about Elmo. A proper shout out goes to Cookie Monster, Grover, and Telly Monster. Together, the furry fire brigade educates with catchphrases like “hot, hot, stay away. hot, hot, not for play” and “get outside and stay outside!” The playbook covers how to avoid hot things that burn, make a home escape map, family practice time, and what to do if the smoke alarm sounds. There are kitchen safety tips for parents and caregivers, too. Start a healthy discussion around a scary thing like a fire emergency. Demonstrate that preparation and prevention are skills that the entire family can work on together. Cultivate lifelong fire safety habits. As the guide says, “fire safety begins at home.’ Simple steps make a big difference in staying safe from fires. Sometime after the Great Chicago Fire, it was discovered that a journalist fabricated the O’Leary cow rumor. The real cause of the fire has never been confirmed. But it did start a national conversation on the basic but essential elements of fire safety. As Fire Prevention Week reminds us, prevention is a big part. Fires are mostly preventable. It’s on everyone to take charge. This entry was posted on Friday, October 7th, 2016 at 4:27 pm and is filed under Disasters, Emergency Response, Environment, Environmental Protection Agency, FEMA Federal Emergency Management Agency. You can follow any responses to this entry through the RSS 2.0 feed. You can leave a response, or trackback from your own site.